When I read Hindustan Times or Times of India...there is no mention of Kashmiri Pandits anywhere. Occasionally there is a photograph of some migrant camp with a caption about how all pandits were originally elite class. All I can read is how militants are making the government dance and how government is claiming that things are going to be fine year. However, when I read these papers from Kashmir, it is the same story, but occasionally I find article by former friends about how Pandits are doing great outside Kashmir, how the government is pampering us silly, how money is dropping from the sky. I feel rich. I feel powerful. We run the congress, we run BJP, we run RSS and sometimes we are godless communists too. I read how we control the media, the government and the Army...even US and Israel. If you read them, if a few years we Pandits would be ruling the world. It makes me feel a whole lot better. This happened somewhere in the 90s. 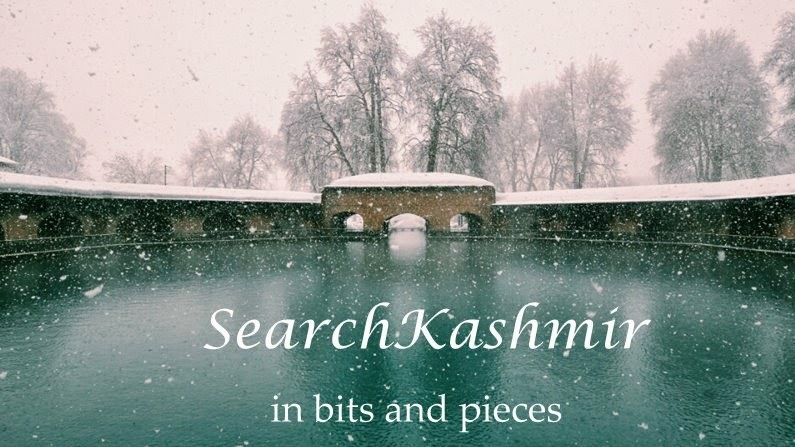 After it became clear that "Panun Kashmir" was not a possibility, the pandits, as usual, gathered in Vikram Park by the side of canal to deliberate upon the issue. It was in this meeting that Er. Shiban Ji The Great gave his famous solution to KP predicament. He was the last speaker for the day, it was late afternoon, much like the heat of the sun, the meeting was now ebbing. But, Er. Shiban Ji still had fire in him and his word smelt of embers from a fresh Kangri. "Brothers, listen and listen carefully. What I am about to suggest may offend most of you but I have done all the calculation and this is the only way forward. It is a question of life and death. Rather a question of death. And only death can provide the answer. Our Muslim cousins are fighting this war using deaths and deaths it is we should fight back using. Things have to change. Our deaths have to change. I propose we change our death rituals. No KP in death should be burnt any more. Let's start having burials for our dead. And those burial grounds be in Kashmir. Our living can live in clusters of choice, they won't allow it, let our dead stay in clusters, in Kashmir. Dead pose not threat. If Afghan and Pakistani Mujahids can find burial place in Kashmir. If they can claim a piece of Kashmir, no reason why a KP should not find a little corner. After all how much space does a dead need. Don't walk away, please listen. I have done the calculation. 4 feet by 2 feet. That is almost 3 square meter. That's 0.0003 hectare. In 30 years, 50000 thousand of us would be dead, victims of heat, snake bites, old age, accidents, heartaches, nostalgia and homesickness . That's 0.0003* 50000 hectares or almost 30 acres. That is almost 5 times the size of Melbourne cricket field. In 30 years, if our progenies chose to return, let this land be our Panun Kashmir, let the dead and the living find a piece of land in Kashmir. Till that time, let the dead find peace in Kashmir." Like always not many heard him that day too. Those who did, laughed. Then they too left. Er. Shiban Ji was alone. "Let them burn, I shall be buried," Shiban Ji promised himself. A decade later Er. Shiban Ji moved to Germany, after the death of his wife, his son who was working as an Engineer with a famous automobile company, would not let him live alone in Jammu. Years raced to another decade. As Er. Shiban Ji aged, his brain got the maggots of alzheimer. It was then that he started begging his children that he be buried after death. "Let them burn, I shall be buried," he would say all the time. When the time came, the son listened and left no stone untuned to have his father's last wish fulfilled. Er. Shiban Ji now lies buried in Germany at a place near Dachau. This happened somewhere around 2010: in village Dupbal a rumor was going around that a dead body had been found. It was of a young woman. Clashes were imminent. Village elder prepared for the worst as young men had started gathering. However, authorities sent a policeman in civics who talked to the elder. Elder was jubilant. This was good news. He gathered the villagers and announced,"The body was of old Shanta ji who never left Kashmir. Let the villagers gather and celebrate Kashmiriyat. Set up a funeral pyre." Many moons ago, radio presenter and expert of Asian affair Oral Stain asked great Kashmiri historian and Tikka Master Gundhlal Dolmut what is the one event in history that if undone would have changed the course of Indian history. "Spain should have remained under caliphate. Fall of Al-Andalus was a tragedy. Had the dream sustained, America would still have been discovered, ships would have still sailed, mountains of Gold moved, natives would have found one true god at the hand of soul catchers, they would have got rail roads and bathing soaps, civilisation would dawned but all the Red Indians would have been Muslim. It would have been real kal-doudas for Anglo Saxons. 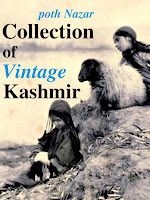 They would have been still busy trying to quieten their own middle-east... their own many Palestines and Kashmirs." Stain Sahib was irritated by the answer. Dolmut was not making much sense. Stain Sahib erupted, "What has that got to do with India?" "Lalitaditya should not have helped Chinese in their fight against Turks and Arabs over Tibet. Tibet should have fallen to caliphate. Kashmir would have been Muslim in any case, but Tibet would have been Muslim too. Today, China would have still busy handling Tibet issue. There would have been self-immolations of another kind." The comment brought a wry smile to Oral Stain's face. In his leather bound private notebook, he wrote a note on the episode: Illustrious Kashmiri Pandits have lost their mind in exile.